Tucked away on the tree-lined Fumin Road is an urban sanctuary offering a respite from the humdrums of Shanghai. Operating since 2010, Subconscious Day Spa has been written up in magazines and now boasts three locations across the city. The spa is popular among both locals and expats and for good reason. It is a well-run resort with a friendly reception staff and a team of professionals trained in Chinese, Thai, Japanese and Swedish techniques. It is also a one stop shop that offers facials, manicures and yoga classes. More importantly, its tasteful, minimalist design and no-funny-business policy set it apart from the city's hole-in-the-wall foot massage parlors and the many seedy establishments that give their patrons more than a rubdown. 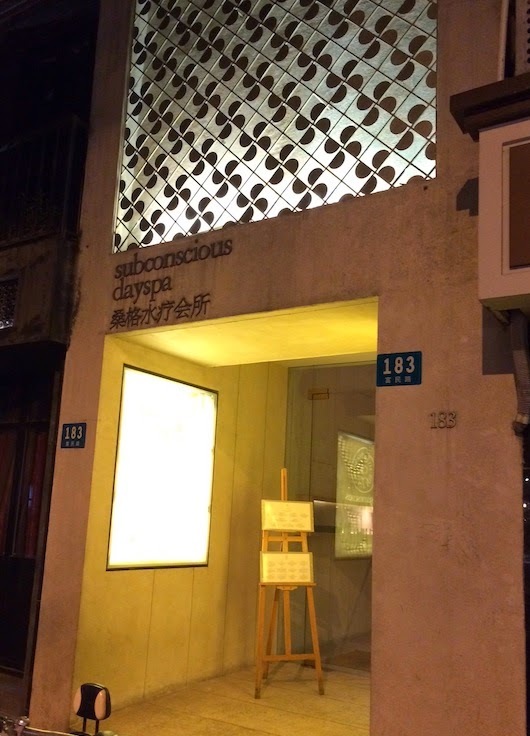 Treatments at Subconscious are not cheap by Shanghai standard but you get what you pay for. A 90-minute massage will set you back around RMB400 (HK$520), which is still more affordable than any hotel spa in the city. There is no service charge and gratuities are optional but welcome. The spa is open daily from 10 a.m. through midnight, which gives you plenty of latitude to work your day around a visit. I make an appointment – sometimes more than one – at the Fumin Road main branch each time I find myself in Shanghai for pleasure or for work. Especially for work. The level of cleanliness and customer service I get there is rare in China, even in a big city like Shanghai. Another big draw is its location in Jing’an District. After a treatment, I like to explore the quaint cafés and local boutiques in the neighborhood. The spa is also only a few blocks from Jing’an Park to the north and a 15-minute leisurely walk from the historical French Concession to the south.